Like Radio Hauraki before it, the station we now call 95bFM began at sea. 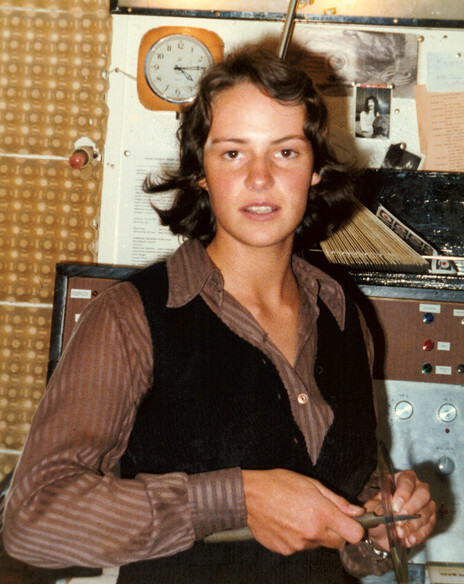 During capping week in 1969, a group of University of Auckland students got together and broadcast pre-recorded programmes on a station they called “Radio Bosom” from a borrowed boat on the Hauraki Gulf. 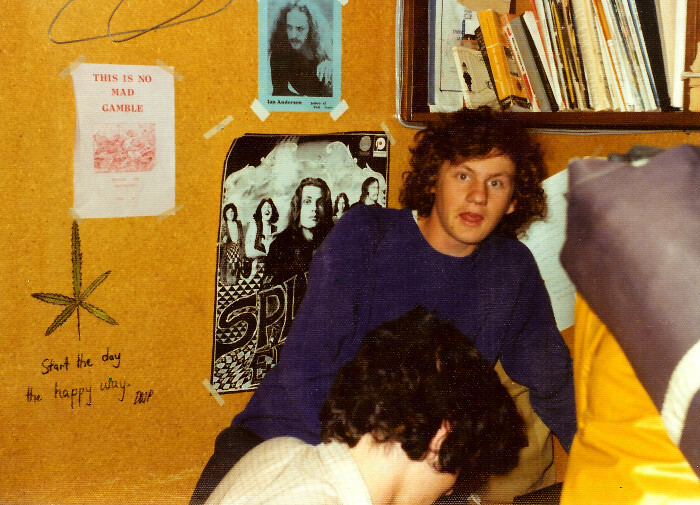 Unlike the Hauraki founders, the students were not budding media professionals – and they weren’t particularly good sailors either. Seasickness was apparently another factor in coming in closer to land. The prime instigator was the late Dave Neumegen, who later renamed himself Arif Usmani and was best known to several generations of kids as Auntie Uncle of the childrens’ music theatre group The Aunties. Although Neumegen was never afraid of stirring the pot – he campaigned for the AUSA presidency in a Superman costume and both he and Fowler were involved in the infamous Jumping Sunday musical happenings in Albert Park – the crew didn’t attempt to repeat their short-lived piracy escapade. Instead, they settled down to “broadcasting” via a network of speakers installed in the quad and around the campus. A “shadow executive” of students led by “President” Neumegen provided the speakers and sounds. And while they might not have been properly on air, they proved quite capable of causing trouble. During Orientation in March 1971, AUSA president Bill Spring stated that, having received complaints about the volume of the music, the student executive would be restricting the hours during which music could be played. Neumegen declared he would ignore the edict, but backed down in the face of unspecified disciplinary action. 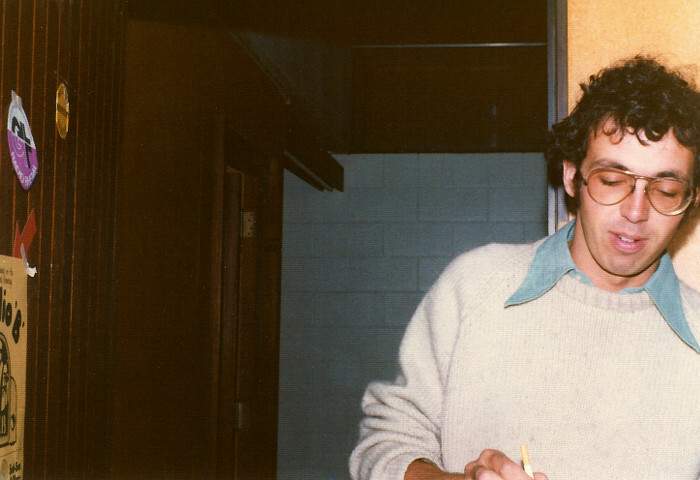 L to R: Richard Segedin (programming assistance, announcer, technician), Romi Patel (announcer, technician, future station manager) and Ron Imms (technician) in a vacant office on the first floor of the student union building. The technicians were working late into the night to upgrade the mixer before an on-air broadcast. “Condensed and magnified in Auckland University is all the indifference, apathy and contempt for activity that chronically afflicts our nation,” raged future Green MP Sue Kedgley in a zesty “Campus Comment” column in the Sunday News. Although, according to Kedgley, the playing of jazz, rock and classical music had gladdened the hearts of students in a way any number of “arranged” activities had not, it remained controversial. “Loud rock music drifting from Auckland University’s Student Union building is alleged to be disturbing people seeking the tranquillity of Albert Park opposite,” the Auckland Star reported that May. Members of the faculty complained to the university council, but the new vice-chancellor Colin Maiden observed that “a fair body of opinion among certain students seems to want the music during the day,” and the council’s hand was stayed. Neumegen scorned the council in his Craccum column – and revealed plans to expand rather than peg back the music. During the first term holidays, he had worked with local music tastemaker Selwyn Jones (who was at the time president of the university’s Blues, Jazz and Rock Society) to set up a studio in the university’s Arts Centre at 24 Grafton Road. The students’ association, he said, had not provided “one bit of help”. 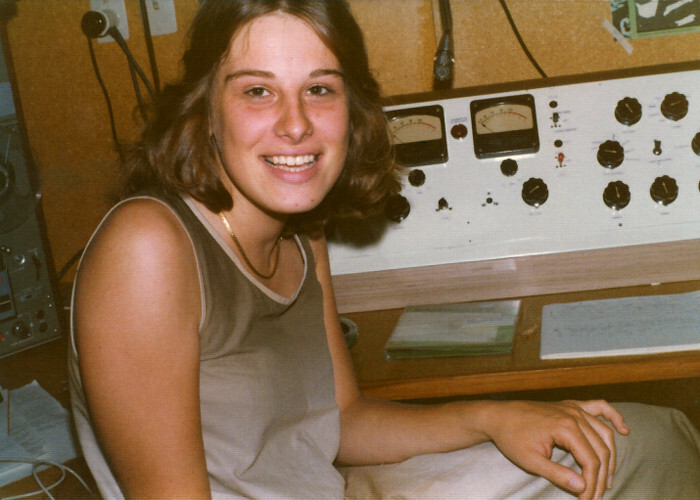 “Because several of the other organisers (including myself) were connected with RADIO BOSOM – set up in 1969 for Capping Week – we have decided to call this venture RADIO BOSOM,” Neumegen wrote. 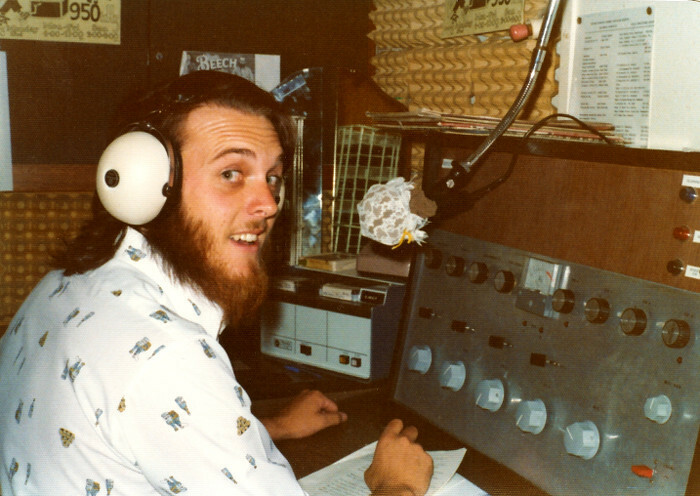 But by the end of the year, the station had moved to the student union building, on the floor below the present-day 95bFM studio. It soon delivered staff to the early commercial radio stations Radio i, Radio Windy and Radio Avon, establishing B’s reputation as a talent factory for the industry. But Neumegen’s “well known fact” about the granting of a licence to the university was fanciful. Even bids to broadcast a low-powered AM signal to the nearby halls of residence were rejected by the Broadcasting Authority. It took the sensation caused by its pirate sibling Radio U in 1972 to finally help get Bosom to air. Although the Radio U broadcasts took place under a National government, in November of that year, the Kirk Labour government was elected. Labour rewrote the Broadcasting Act, abolished the Broadcasting Authority (and replaced it with the Broadcasting Tribunal) and made Roger Douglas the minister. The changes meant temporary licences were certainly available in theory – but no one had ever got one. It took some direct action by Glenn Smith, by then station manager, to get the station over the line. So another application was made. Even then, there was a problem with the Tribunal. 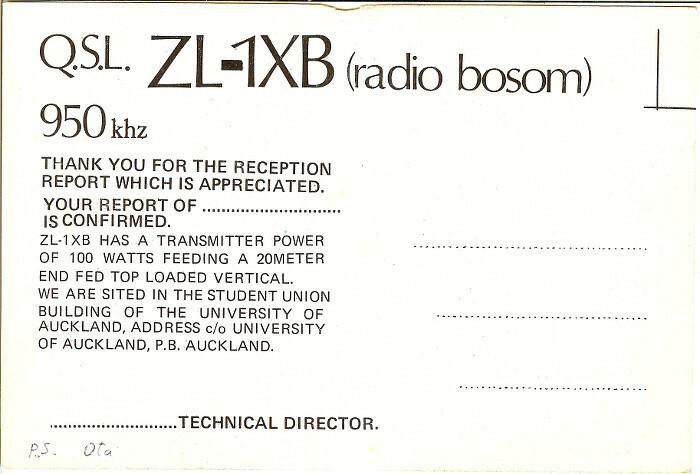 And so, for three weeks in February 1974, Radio Bosom 1XB conducted its first legitimate broadcast. Hours were limited and there was to be no broadcasting on Saturdays, but it was the first licence to non-commercial private radio, the first to a university and the first short-term licence. The frequency, presaging the present-day “95” brand, was 950KHz. For the rest of the year, the “radio” would be delivered only through the university’s speaker network. Given the shift in the public mood and the changes to legislation, the granting of the temporary licence was not a shock. But the terms of the warrant – authorised on the basis that the station was a student information service – were immediately problematic. “I have memories of discovering great music that mainstream stations did not play,” says another former announcer, cinematographer Stuart Dryburgh. “We were fortunate to have the record company reps on our side. I think we were playing Bob Marley and reggae in general well before it caught on in mainstream New Zealand." But the government wasn’t exactly cutting the bonds. Postmaster-General Fraser Colman met with the students after the first broadcast and warned that there would not be a repeat unless the station changed its rather racy name. In the event, “Bosom” was not formally abandoned, but the name Radio B was used in polite circles. 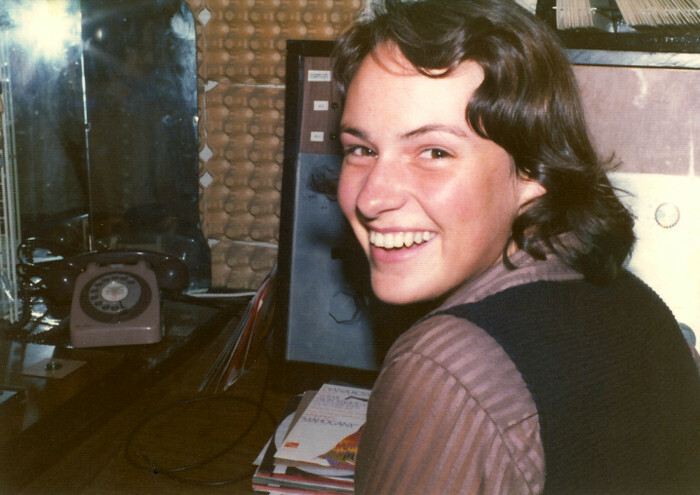 Into what had hitherto been a boys’ club wandered 17-year-old Julie Pendray, fresh out of Mangere College in 1975. Students were encouraged to enrol in clubs, so she chose Craccum, Radio B – and The Winnie the Pooh Society. 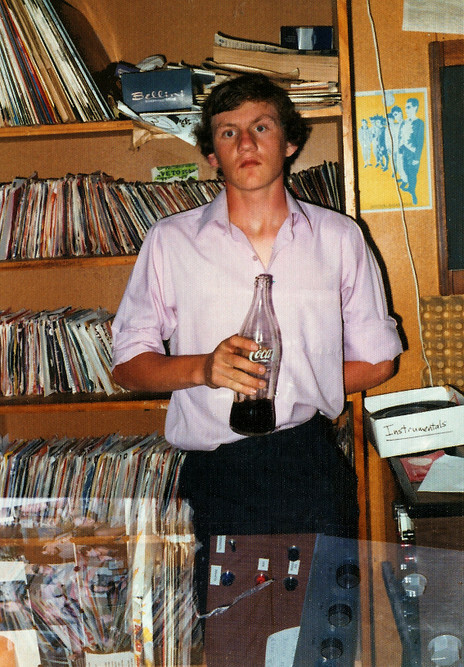 Radio B attracted the same kind of creative, enterprising, slightly strange kids that 95bFM does today. 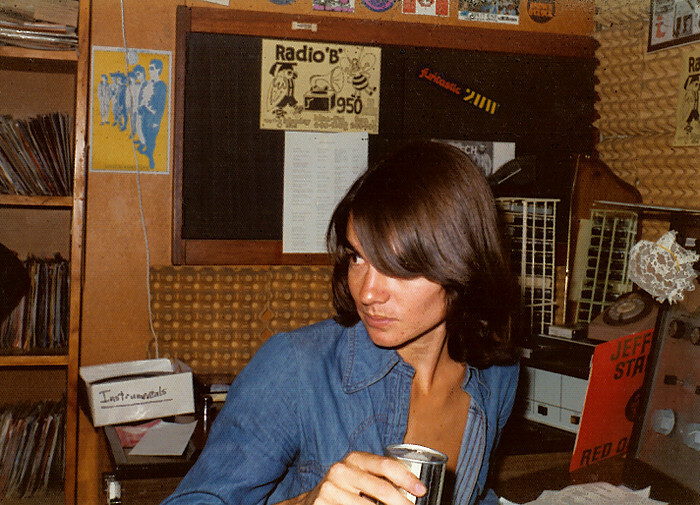 Radio B attracted the same kind of creative, enterprising, slightly strange kids that 95bFM does today. Perhaps the big difference was that quite a few of those kids could actually build a radio. 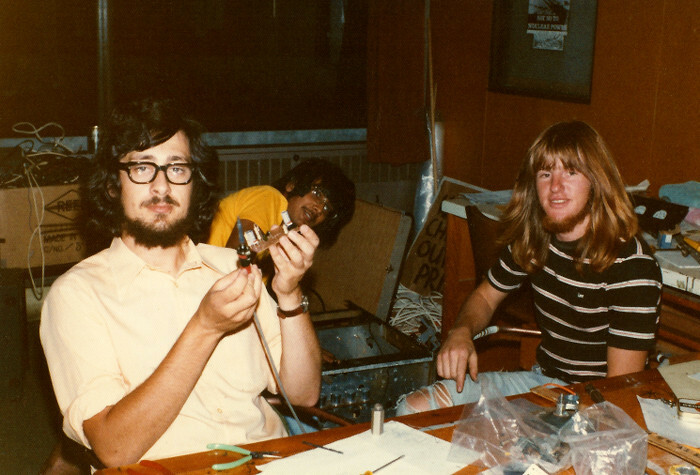 They were directly responsible for Victoria University’s Radio Active getting to air, after a team from Auckland travelled to Wellington and set up Active’s first transmitter. One particularly rebellious technician, Tim Stanton, is now an oceanographer in California. Others on the crew went on to make names for themselves both on and off the radio. Journalist (and later respected parliamentary press secretary) Fraser Folster headed the news team and covered the station for Craccum. John Sweetman followed Pendray to Hauraki and eventually became the continuity “voice” of TV3, which he remains today. Larry Summerville, later head of More FM, was a host, as was future Auckland City councillor Glenda Fryer. Another member of the team, Pat Courtenay, headed to Ireland and on-air roles with the hugely popular pirate stations Sunshine, Energy and Nova – he returned to New Zealand in the 1990s to be breakfast host on the new Classic Hits, but is now back in Ireland with the licensed station now broadcasting under the Nova name. 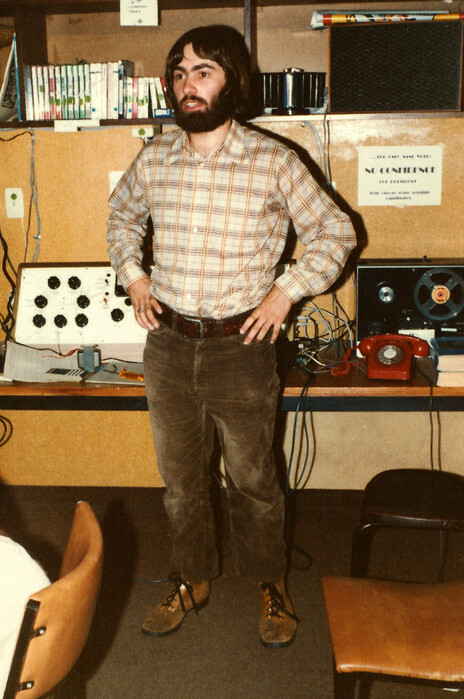 Smith himself went to the first regional independent station – Whakatane’s 1XX – in 1974, and never left. Now the manager of the still-independent 1XX, he received a special radio award for services to broadcasting in 2013 and the New Zealand Order of Merit in 2014. Radio B saw out the 1970s as a legitimate but very much part-time station. The 1980s would see much greater things.